Who would have thought: creative, compelling and majestic progressive rock from the heartland of America! 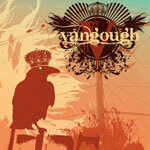 Oklahoma's Vangough may be obscure now, but they should be today's Dream Theater or Porcupine Tree. Yeah, damn right, they are that good! Vangough's music is creative and compelling binding the best of rock, metal, jazz, hip hop (yes, I did say that), and much more to cleverly defy category. 'Mankin Parade' is a grand, even epic display of modern progressive rock to mystify and beguile your senses. If I sound overwhelmed or deliberately intrigued by Vangough (and that does not happen very often), it's entirely understandable. You need to listen to this album! Everything about 'Manikin Parade' is amazing and nearly perfect (as if anything can be). But I have been captivated by Vangough to the point of speechlessness. Songs like 'Disorder Quotient,' 'Christmas Scars,' and many more are simply brilliant from composition to delivery. Oklahoma's Vangough has left me speechless (can you believe that! ): their prog rock/metal is amazing and compelling. This is the best stuff in the new millennium rivaling anything by Dream Theater, Symphony X, Porcupine Tree and many more. Wow! Highly recommended! Oklahoma's Vangough has left me speechless (can you believe that! ): their prog rock/ metal is amazing and compelling. This is the best stuff in the new millennium rivaling anything by Dream Theater, Symphony X, Porcupine Tree and many more.